At just shy of $200 each, these Copycat Art Scratchers are an expensive way for your cat to stay entertained while you’re at work all day. But, relatively speaking, they’re a lot cheaper than your cat destroying an actual priceless piece of artwork like da Vinci’s Mona Lisa, or Vermeer’s Girl with a Pearl Earring. 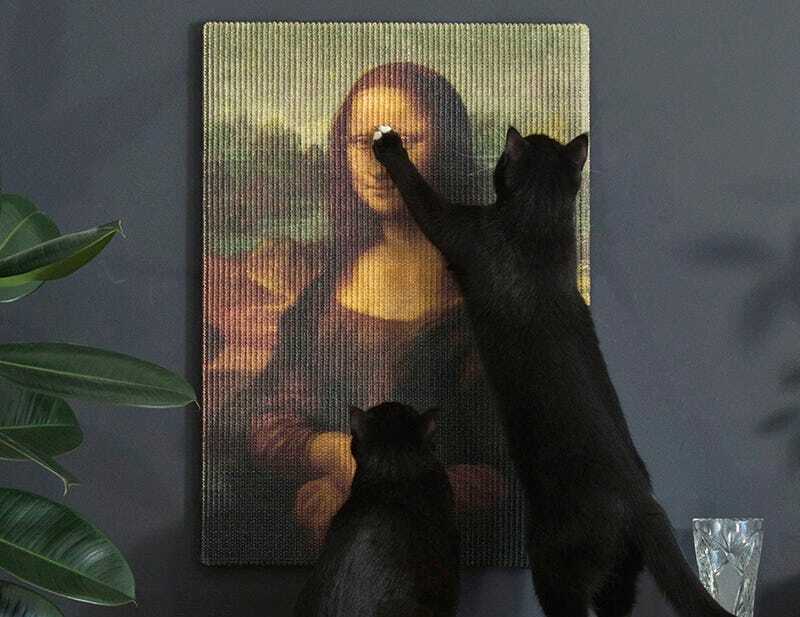 Designed to turn scratching posts into an aesthetically-pleasing part of any decor, the canvas used for these faux masterpieces is made from an embroidered twine—the same material used on a more traditional scratching post. So it should survive an onslaught from your cat’s claws, at least for a little while. Available in three designs, the scratch-friendly paintings can be shipped worldwide, although delivery is expected to take about four weeks which is unfortunately more than enough time for a bored cat to easily turn a sofa into a pile of shredded fabric.